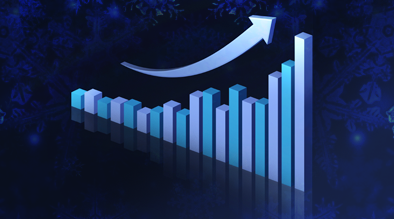 While 2011 is coming to a close, the holiday shopping season is driving massive revenue. 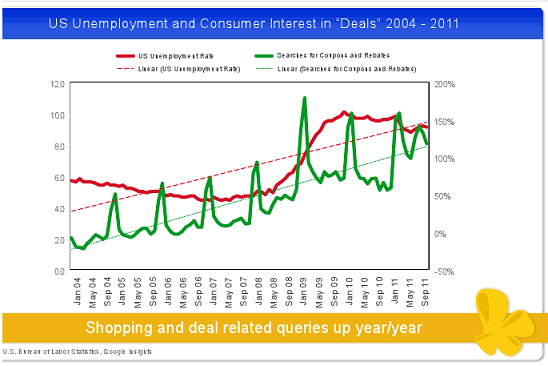 As shown in the graph below, there is a correlation between the US unemployment rate and search queries for “coupons and rebates”. With the recent recession and high unemployment, it is clear that the number one driving force behind consumers minds, are deals. Still, consumers’ end goal seems to be striking a balance between saving enough money, while still enjoying the pleasure of buying. 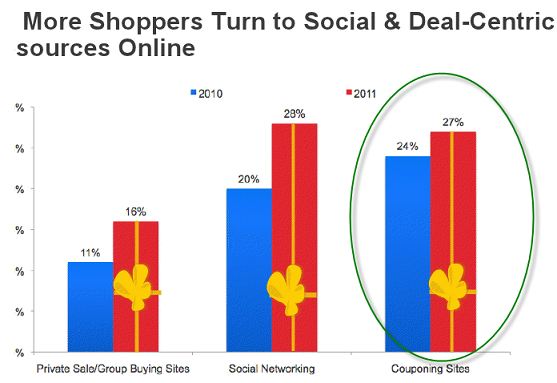 In support of this statement, we are seeing an increase in both social networking, as well as deal-finding through coupon websites such as Groupon. In order to satisfy consumer demand, marketers should target their PPC efforts around “deal related” keywords (e.g. seattle hotel deals, seattle discount hotels) in order to capture this deal-hunting market. Another strategy that can be used to hone in on the coupon/deal message would be to create a landing page that looks like a coupon, while offering a significant discount, and thus, encourage a booking. To sum it all up, it’s not too late to run your Holiday-oriented PPC ads. In fact, it may be a great way to give your hotel a boost before the new year comes around. Just be sure to always research your keywords before testing them out, and you should be good to go!